According to the Universal Declaration of Human Rights (1948), the religious conversion is a basic human right. Not all religious traditions accept this. Some allow the conversion to their religion, but they deny their followers. Some distinguish between voluntary conversion, which they accept, and organized proselytism, which they reject. Some take the conversion as given, but they regret threaten other converts to the death penalty, because they have forsaken the religion into which they were born. 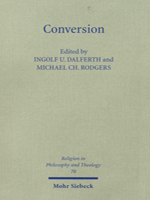 Nevertheless, there are many types of conversion: philosophical, intellectual, moral, spiritual, and many kinds of religious conversion. The 32nd Conference for Philosophy of Religion at Claremont Graduate University in 2011 dealt with this complex issue from a religious, legal, philosophical and theological perspective.